Now Aren’t You Sorry You Fired Us? In 1994, I sought a promotion that I didn’t want. 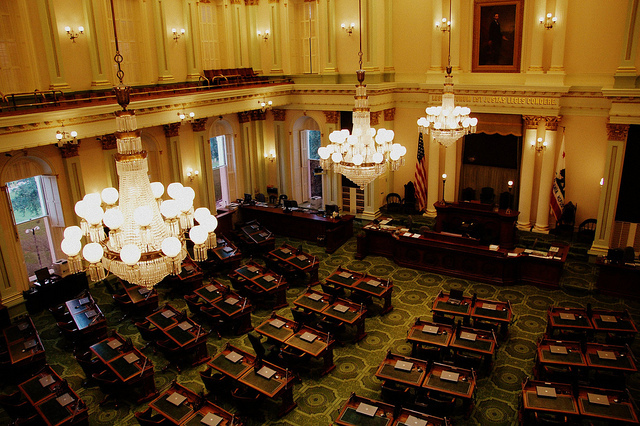 I had been in the legislature for 18 years, representing counties in the far north of California. I loved serving in the Assembly. I didn’t do anything wrong! I didn’t even come close to committing a felony, unless putting about 90 laws on the books was a crime. As a couple of examples, in 1980, I increased California’s drunk driving fines from $70 to $320 with AB-2086, and I provided dozens of millions of dollars in newly harvested food to Senior Gleaners with AB-2895. I did this while simultaneously trying to limit the number of bills a legislator can introduce. The legislature killed that bill. People sometimes made fun of me. But it was a great time, and I was working hard. Too bad my time was up. Californians passed term limits in 1990. Assembly members could only serve six years, and senators only eight years. The clock started in 1990, and my term limit in 1996 was fast approaching. I was being forced to get a real job. I ran for lieutenant governor. I lost in the Republican primary. I’m doing fine now. I remarried. I found a job working for the California Broadcasters Association and moderating gubernatorial debates. (I was the one trying to prevent Arianna Huffington and Arnold Schwarzenegger from killing each other during the recall debate in 2003). I’m not sure the legislature missed me. But I missed the legislature. And the legislature is missing something. You know the last time that a majority of Californians told pollsters that they approved of the job their legislature was doing? Back in the fall of 1990–the month before Californians approved term limits. If you thought it was bad in the old days–when those already in office decided the length of terms, redistricting, and whatever else they could think of–how is it now? With all of us “professional” politicians gone, how do you like the amateurs? The amateurs are even more careerist than we were, in part because dodging term limits requires more jumping about between jobs. “Quasi incumbents” are what I call sitting members of the legislature who had to move into a different town simply to stay in their district once the lines changed. Moving to a different town in one of the new citizen-formed districts keeps these quasi incumbents in the Assembly or state Senate. That lets them continue to serve the remaining portion of the years that they are allowed. It also makes them carpetbaggers. It is a confusing time of musical chairs of districts and of incumbents. And when you’re playing musical chairs, how do you govern? The answer is: you don’t. Term limits are part of the problem. 21 years after Californians passed term limits, it’s past time to ask voters: what were you thinking? Oh, that’s right, many citizens wanted to get rid of Speaker Willie Brown. They thought he was too liberal. My party supported term limits to get rid of him. I wish we hadn’t. I now believe that limiting your representative to a certain length of term doesn’t make sense. It is anti-voter-choice. It is anti-democratic. Why should you not be able to keep your representative as long as you like? I am surprised the courts found term limits to be constitutional. Speaker Brown had a broader, more moderate perspective than our legislative leaders now. When I decided to introduce AB-2, which would study the possibility of dividing California into more than one state, Speaker Brown helped me proceed with that idea. He told me he was elected in 1964, and by 1966 he’d introduced a bill on the possible division of our state. He, too, felt California was too big and dysfunctional. He was right. I wish he were still in the legislature to help us do something about it. Stan Statham, who served in the state Assembly from 1976 to 1994, is president and CEO of the California Broadcasters Association.